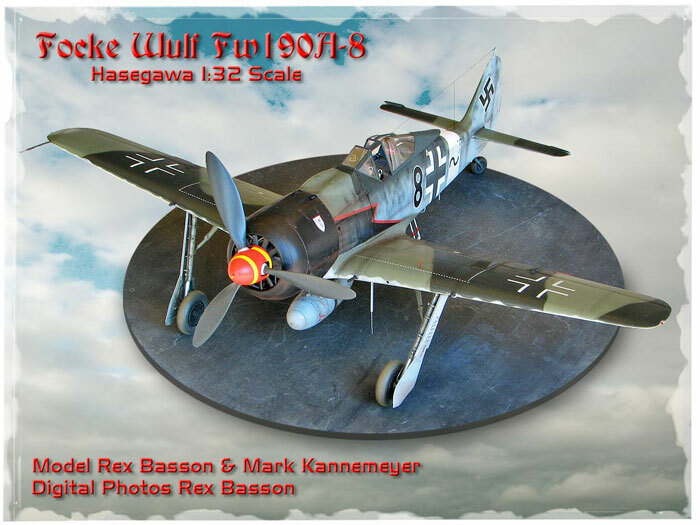 This is the well known Hasegawa 1/32 Focke-Wulf Fw190 built by my good friend Rex Basson who also took the photographs. 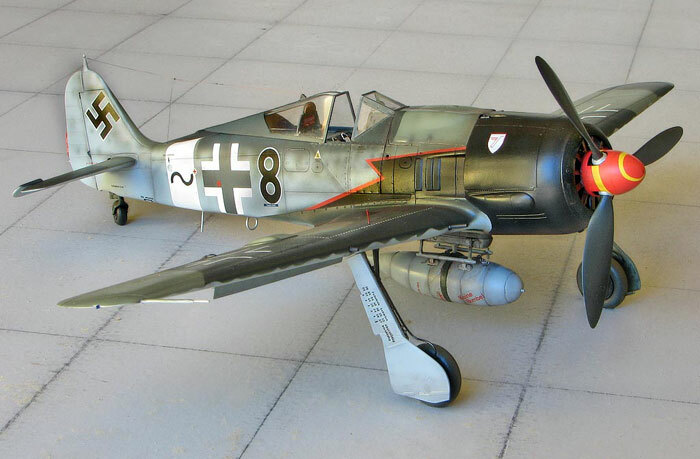 I finished the model off with the armour around the cockpit. 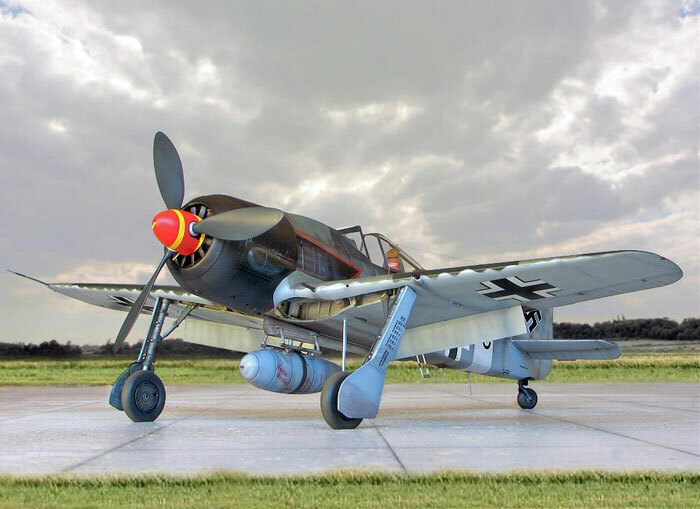 The Wurger was painted using Model Master RLM colours that I lightened with a bit of white. I applied pastels for some weathering. The decals where from the spares box and some made by a member of our local IPMS club in Cape Town.